and this is a cinch to make. If you’re like me and the entire extent of your cake decorating repertoire starts and stops with applying frosting, don’t despair. 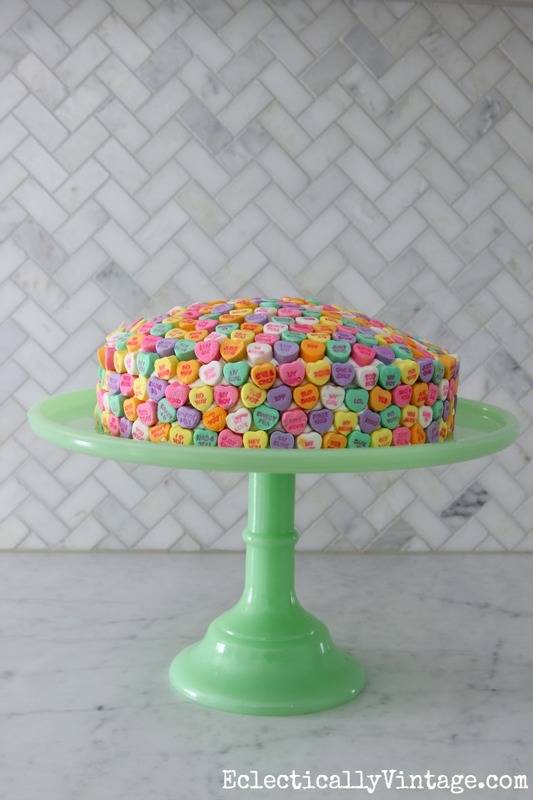 Who needs fancy roses and swirls when you can buy a box of cake mix, a can of frosting and a big bag of conversation hearts and whip up this beauty that will have people oohing and aahing at your mad culinary skills. 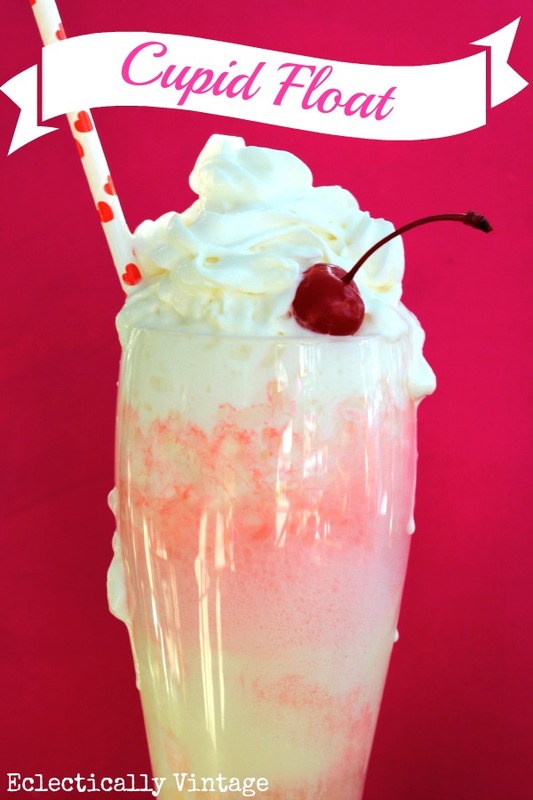 Whip up this cake with a batch of my Cupid Floats and you’ll work your way into everyone’s hearts. 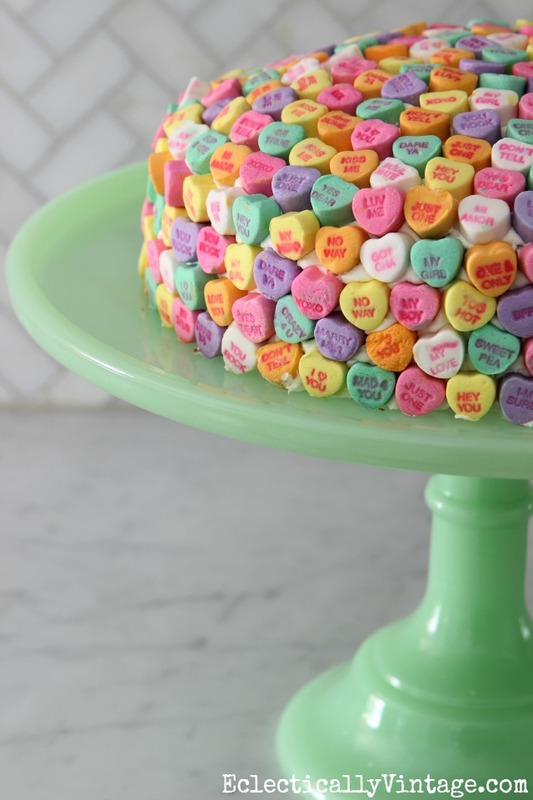 * Apply conversation hearts (I used a big 35oz bag with some leftover to cover a two layer 9″ cake). Start at bottom and work your way around in circles ending at the top center of the cake. 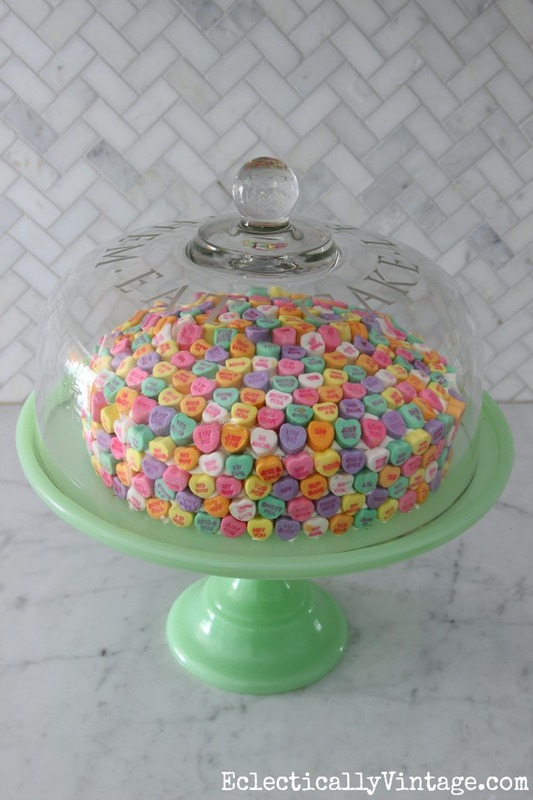 See how to make an etched glass cake cover HERE (mine says “Let Them Eat Cake)! 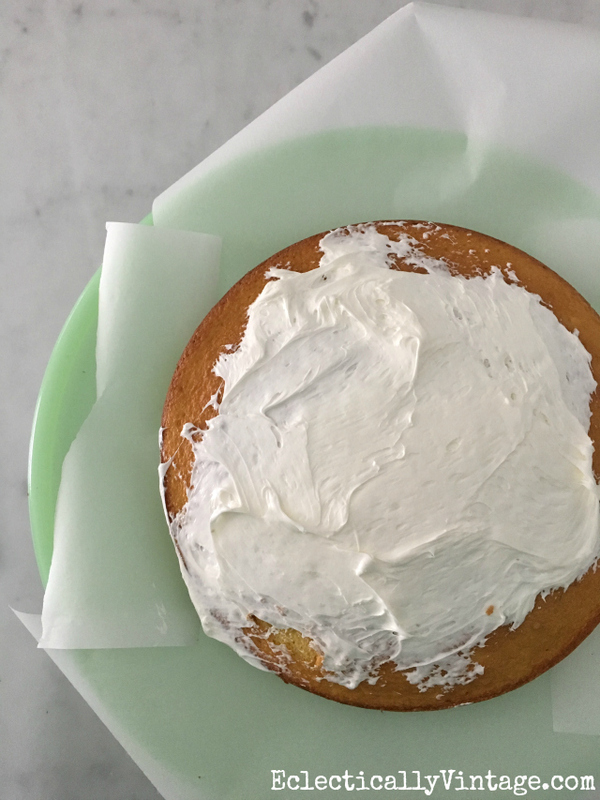 TIP: when frosting a cake, tear off a few pieces of wax paper and place under the cake then frost. Remove wax paper when done for a no mess cake stand! It’s fun and easy and really brightens up the kitchen. almost (sorry I’m talking with cake in my mouth). Super cute Kelly! I love a good easy cake! 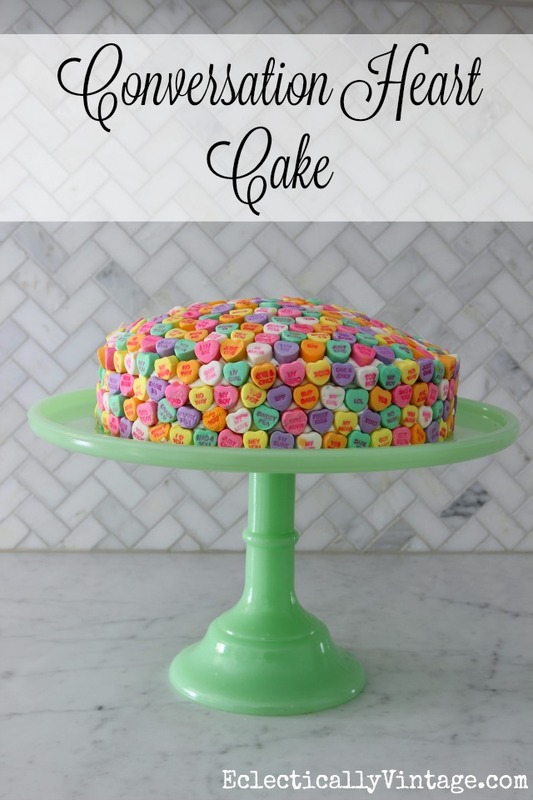 Conversation hearts are my weakness this time of year, and cake is is my weakness year round but I never thought to combine the two! Such an adorable, and irresistible, idea! I’m a big fan of candy corn too!! Hello Kelly, your recipes look so amazing! I love both ideas & think I’ll make them..